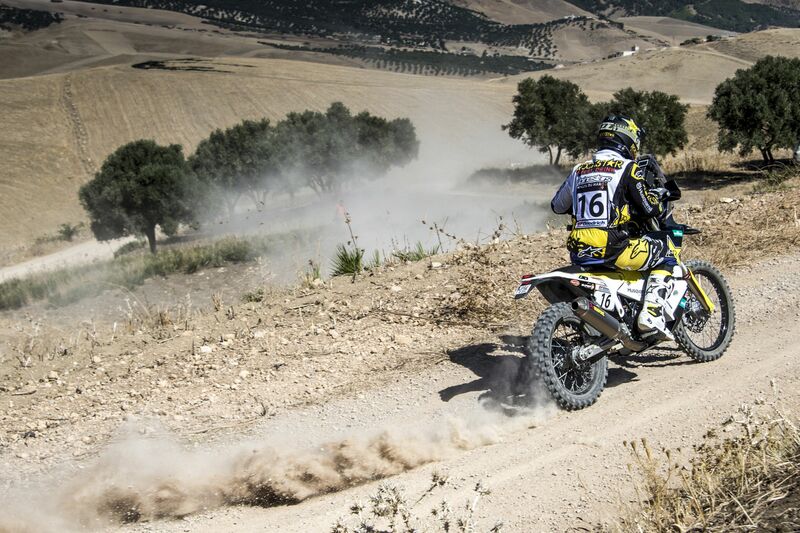 Kicking off the action with a short Prologue outside the city of Fes, the 2018 Morocco Rally saw both Rockstar Energy Husqvarna Factory Racing riders complete the 10km timed special without any issues. Posting the eighth best time for the day, Pablo Quintanilla remains focused on his major goal of successfully defending his FIM Cross-Country Rallies World Championship title for a third consecutive season. Less than half-a-minute slower than the provisional Prologue winner, Pablo Quintanilla knows there’s a long way to go in this year’s Morocco Rally. Feeling strong aboard his FR 450 Rally machine, the Chilean rally star was the first rider onto the slippery stage and as a result decided to opt for a no risk approach and successfully completed the prologue without mistakes. Also opting not to take any unnecessary risks, Andrew Short brought his Husqvarna home having posted the 17th best time for the day. Eager to continue building on his rally racing skills, the American is looking forward to tomorrow’s first rally stage. Starting early on Friday morning, stage one of the event will take competitors from Fes to the city of Erfoud in the Saharan Desert. Tomorrow’s first rally stage includes two timed specials of 99km and 68km respectively. The total distance to be covered on Friday is a whooping 489km.